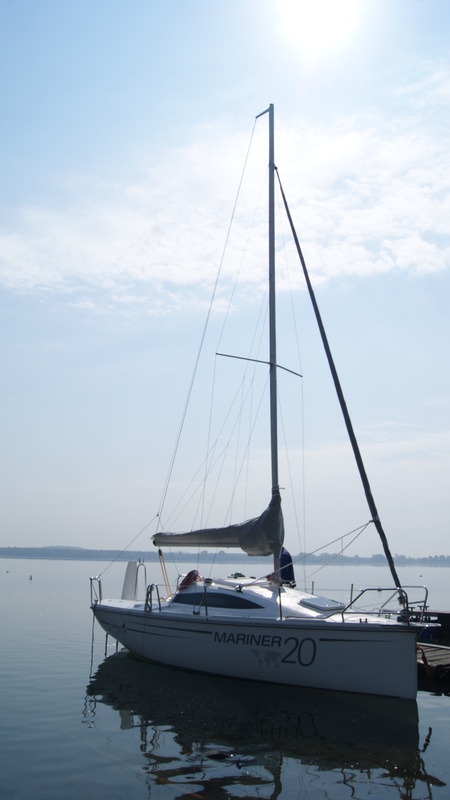 Our 6-meter boat despite its small dimensions and weight can surprise you with its stability and reliability. 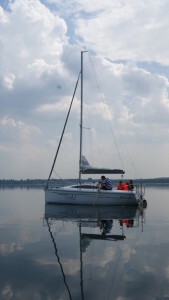 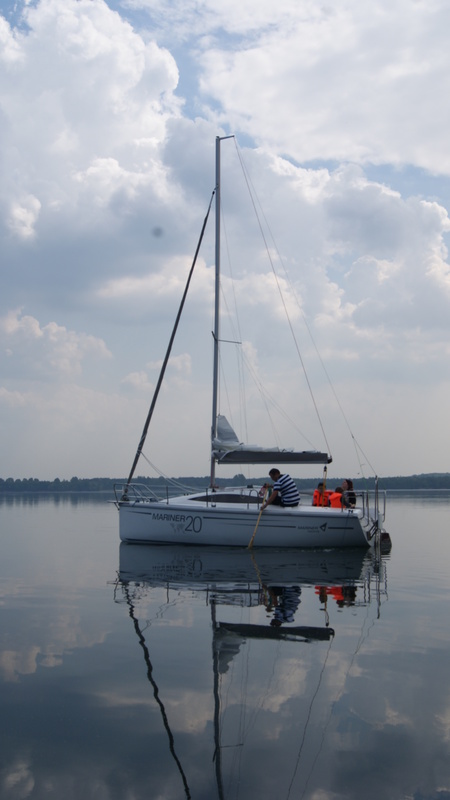 Equipped with a centerboard it can be a family tourist sailing boat or a weekend or training yacht. 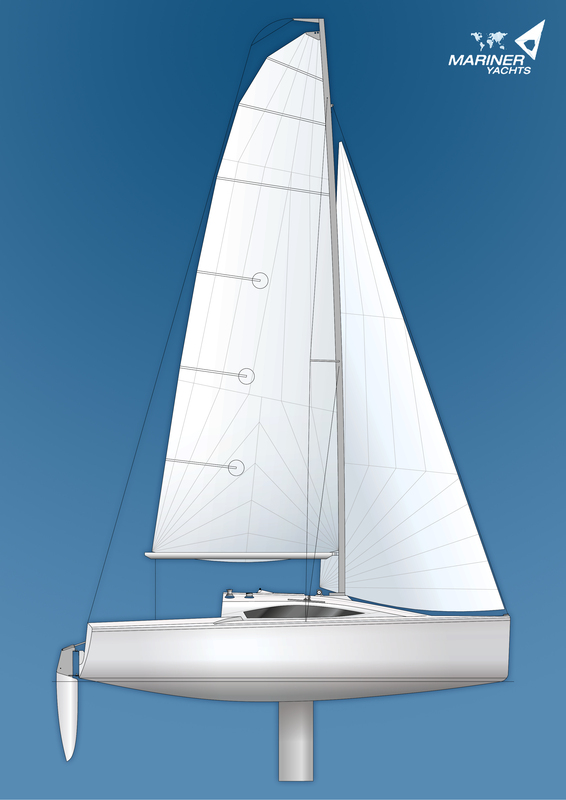 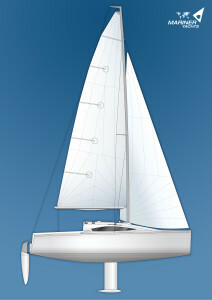 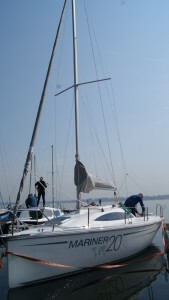 The verision equipped with a daggerboard and extended sails can take part in yacht races. The version with a bulbous keel can be the smallest open sea yacht. 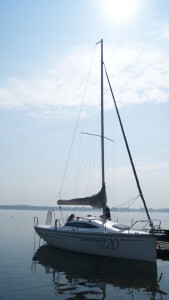 No matter what version it will always be an intrepid litlle yacht which, thank to its dimensions, can be easily transported behind a middle-sized car. 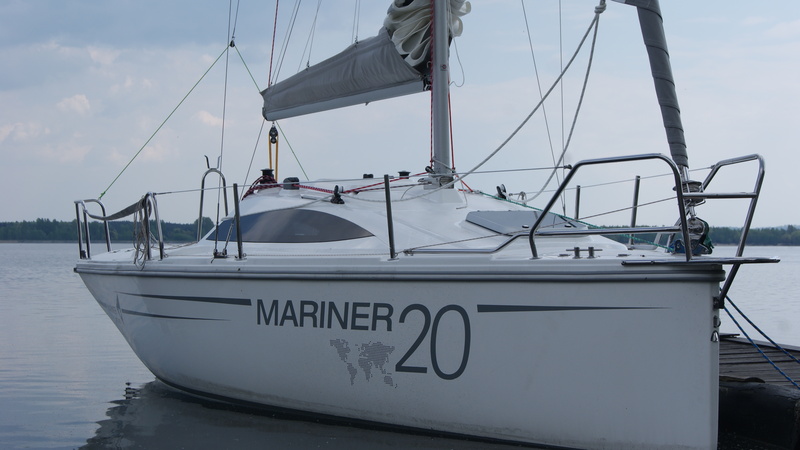 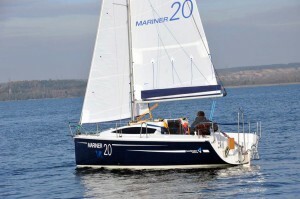 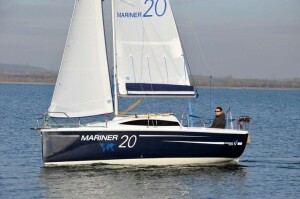 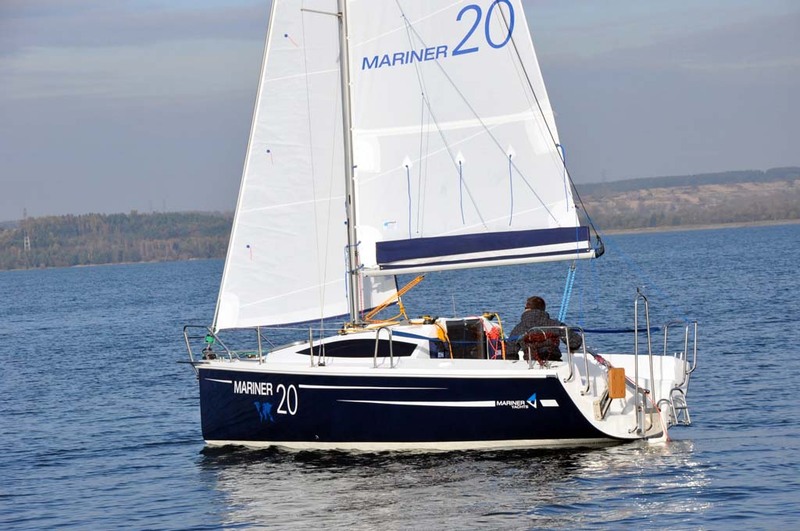 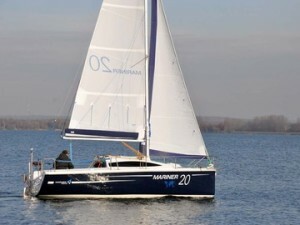 Marinera 20’s interior is 100% functionality, to give a 4-member crew minimum comfort. 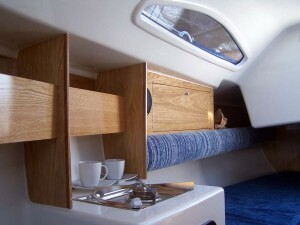 It contains 4 big beds, 2 galley countertops (cooker, sink) and a table mounted on the centerboard case. 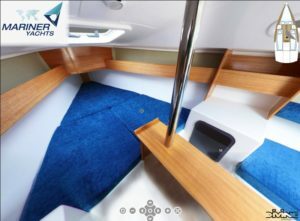 There is a possibility of having a chemical toilet concealed in the cockpit in dagger version. The deck bears resemblance to the style of our other yachts. 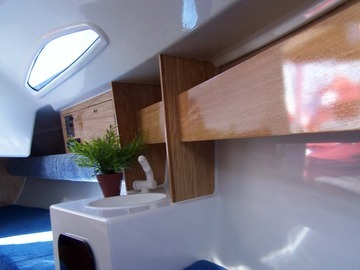 Big windows and an opening hatch in the bow provide plenty of light and ventilation. 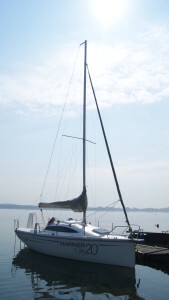 The boat is a typical fractional rig. 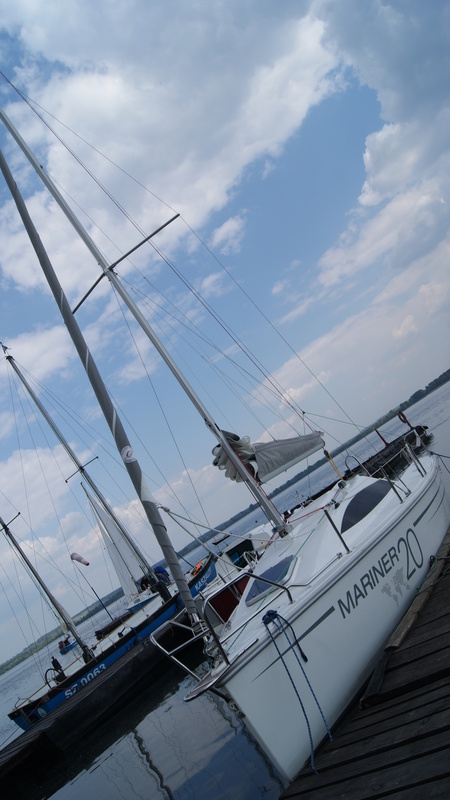 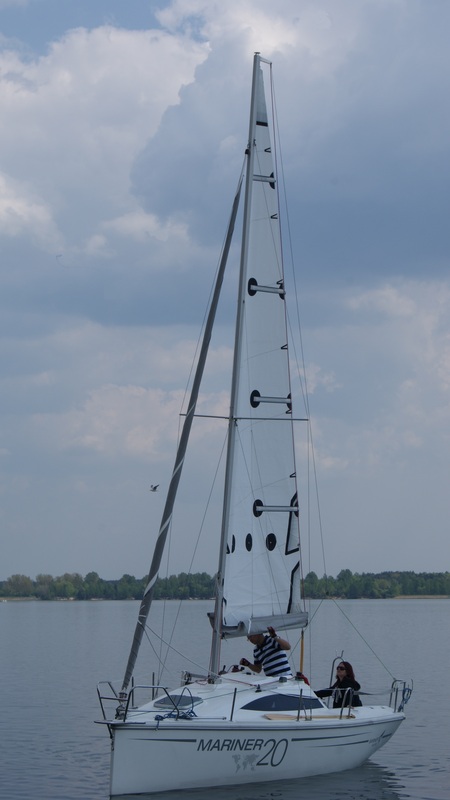 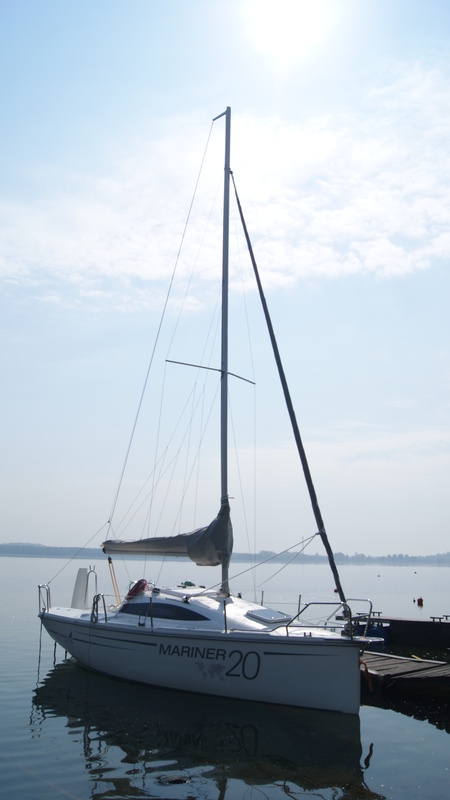 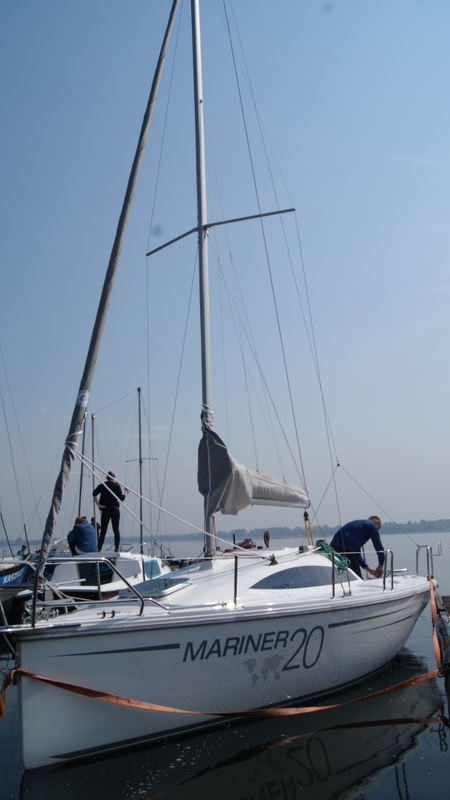 It can be equipped with a jib furling system, a device for raising and folding the mast and other devices making sailing easier. It can have an outboard rudder or a spade rudder. 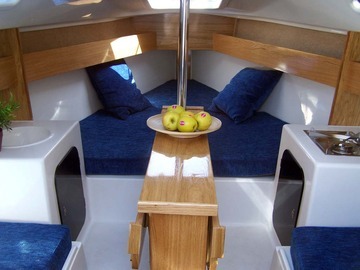 It aslo has a big, self-bailing cockpit with two lockers under the seats which is well prepared for active sailing. 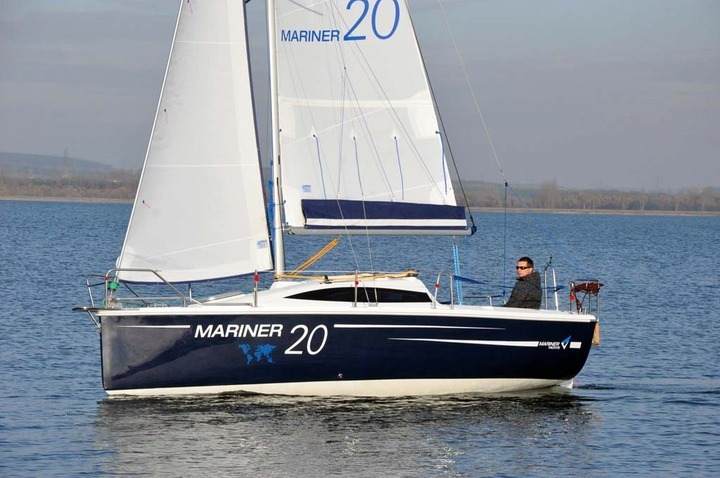 Many successes in yacht racing of our designer, who emphasized the nautical side of our yacht, guarantee the above average perfomance of Mariner 20.